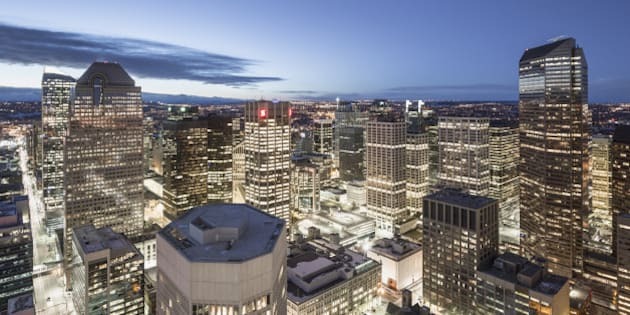 Corporate power is shifting west from Ontario with Alberta gaining in strength in both location of corporate headquarters and numbers of corporate directors, according to a new study. The study, focused on the 242 companies in the S&P/TSX composite index, found 82 of those companies had headquarters in Ontario and 79 in Alberta. In absolute terms, Ontario is still the financial centre and has more corporate headquarters (82 of the 234 companies that have Canadian bases) and is home to more directors (659). But on a per capita basis, Alberta is punching above its weight compared to Ontario, which has four times the population. Calgary has the lion’s share of those corporate head offices, about 60 companies. “It shows the oil boom is having a major impact, when you have many new companies that are in oil or a related business,” said Sébastian Deschênes, a professor at New Brunswick&apos;s University of Moncton, who co-authored the study. “With the economic boom, there are other economic prospects too, but oil remains at the heart,” he said. The report points out that oil industry headquarters are mainly in Alberta, those of the financial industry in Toronto and those of the mining industry in Toronto and Vancouver. “Headquarters are the place where the highly skilled and high-paying jobs are concentrated, contributing to the region’s economic vitality,” the report said. The study also looked into where directors of each of these corporations lived – a key factor in determining their areas of expertise and business contacts. Directors can have an impact on corporate strategy, such as layoffs, mergers and acquisitions, and how companies invest money, so their geographic loyalties can skew where money is spent. Again, Alberta is punching above its weight with 28.8 per cent of corporate directors or 510 people. By contrast, 37.2 per cent are from Ontario and 15.4 per cent from Quebec. “When you are on a board you want someone from the West. There’s no question you need someone from Alberta,” Deschênes said. Boards of Calgary-based companies need people with expertise in oil and gas and turn to their own circles. But other boards across the country also are seeking out directors who have an understanding of the financial milieu in the West. Those directors bring a network of contacts as well as their expertise and are in a position to “communicate the strengths of their regions,” the report said. The Atlantic provinces, Manitoba and Saskatchewan are considered “underweight” in corporate power, Deschenes said. A report from the Fraser Institute – a public policy think tank – published at the beginning of 2013 points out that corporate power has been shifting toward the West since 2000, as Canadian manufacturing shrank and the oil industry grew.